Hemp Protein vs Whey Protein - Which Should You Choose? You are here: Home / Blog / Hemp Protein vs Whey Protein – Which Should You Choose? Protein powders are a great way to boost protein intake and promote muscle development. Choosing the right one can be confusing. 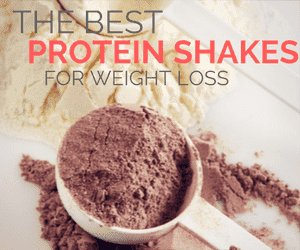 Not only are there many different brands, but the protein types vary as well. That’s why this post examines hemp protein vs whey protein. These are popular choices and have their own advantages and disadvantages. Hemp protein powder comes from the plant Cannabis sativa. But, don’t expect any psychoactive effects – hemp strains contain very little THC. The seeds of the plant are ground to make a fine powder. This is a perfect way to access the protein and other nutrients that they contain. As such, hemp is a plant-based source of protein. It’s particularly well-suited to vegetarian and vegan diets. In contrast, whey is a mixture of proteins, isolated from milk. The main dairy proteins are whey and casein. Casein is a slow digesting protein, while whey is digested much faster. This means that whey provides fast energy to muscles. That’s important for exercise performance. There are two types of whey protein. Many products will contain a combination of the two. ​Whey concentrate. Contains 70% to 80% protein, with low levels of lactose and fat. ​Whey isolate. Often contains 95% (or higher) protein. This means it has been through extra processing. It’s also more expensive and tends to be absorbed faster. ​These differences make isolate the best whey choice for outcomes. Still, the differences are often not dramatic in practice. As a result, many people choose whey concentrate or mixed products, based on their budget and how regularly they use the protein. ​Hemp protein is plant-based. Whey protein comes in two forms and is derived from milk. The most immediate difference between hemp and whey protein is the protein. In a 30 gram serving of hemp powder, there are roughly 15 grams of protein. The same size of whey contains 27 (for whey isolate) or 25 (for whey concentrate) grams of protein. This pattern makes whey superior as a protein source. Even so, protein isn’t the only consideration. Hemp is also a significant source of fiber, which is important for health too. It contains more nutrients as well. For example, the hemp brand in the table contains 40% DV for iron, 60% DV for magnesium and 25% DV for zinc. In contrast, the highest nutrient in the whey protein concentrate is iron at 11% DV. Hemp protein is also the lowest in calories and has slightly more fat than whey protein. What’s more, hemp contains omega-3 and omega-6 fatty acids, in the optimal ratio of 3:1. ​This aspect alone makes hemp powerful. ​Whey contains more protein per serving than hemp protein, but has less nutrients and fiber. Hemp and whey are often considered complete proteins, as they contain all the essential amino acids. However, the amino acid distribution does differ. ​Hemp protein is most similar to egg white protein and soy protein, while whey can be considered in a class of its own. ​While hemp has all essential amino acids, the levels are low for a few of them, including lysine and leucine. The site Calorie Bee offers great details about how the amino acid levels compare. ​If hemp was your only protein source, you might be deficient in those compounds. Nevertheless, most people have multiple protein sources in their diet and will get those amino acids elsewhere. You can combine hemp and rice protein powder to get a plant-based option with a better balance of amino acids. ​Hemp contains two main forms of protein – albumin and edestin. These are easily digested. Some authors argue that hemp is digested more effectively, as it is a plant-based protein source. As Dr. Axe points out, the digestibility means that hemp protein powder can easily be consumed before exercise. In contrast, whey primarily contains alpha-lactalbumin and beta-albumin. These are quickly digested, but the digestion can be difficult, especially for anyone who is lactose intolerant. Whey protein is particularly high in branch-chain amino acids (BCAAs), which are very relevant for muscle development. Hemp contains BCAAs too, but the levels aren’t as high. There has been significant research into whey protein, including potential health and exercise performance benefits. Hemp protein hasn’t received the same attention, so less is known about the potential health benefits. ​Whey protein has an appealing balance of amino acids, is quickly digested and contains significant BCAAs. Hemp protein does contain all essential amino acids, but the levels are less appealing. Some people experience side effects with whey protein, including bloating, gas and stomachaches. The side effects are sometimes related to lactose, especially for those who are sensitive. But, there may be other factors too – as even people who aren’t lactose intolerant can experience side effects. The lack of fiber may be part of the issue. This can be avoided by including a fiber source when making a protein shake. Chia seeds are a common choice. Hemp protein tends to be gentler on the body and doesn’t have the same negative effects. Even so, it’s normally best to increase your protein intake slowly and give your body time to adjust. Regardless of the source, dramatically increasing protein intake can be challenging. ​Hemp is associated with fewer side effects than whey protein. ​There are flavored and unflavored whey products. ​Flavor choice can be extensive, including options like Chocolate Mint, Cake Batter, Rocky Road, White Chocolate and more. ​Some brands use whey protein and nothing else, while others add ingredients to improve solubility or taste. The powder might be whey concentrate, whey isolate or a mix of the two. You can often buy large containers for a relatively low price. For example, many brands sell 5 lb. containers for around $50 to $60. ​Because of its popularity, you’ll often find whey protein powder at local grocery stores and health food shops. Hemp is less popular, which creates some limitations. ​There are fewer brands to choose from. ​The flavor variety is less significant. Unflavored is the most common type, although I have seen chocolate and vanilla too. ​Hemp protein may be more difficult to find locally. You may need to look in health food stores. Products are typically more expensive and are available in smaller containers. ​On the plus side, hemp protein is often viewed as a health food. This means that the brands often have a strong focus on quality. Nutiva is one example. This brand offers multiple hemp protein products. The hemp is USDA organic and Non-GMO verified. It’s also produced through cold press techniques. This pattern means it is easier to find high-quality products. Quality products do exist for whey protein too. But, with so many different products out there, finding a decent option takes some effort. Plus, many whey protein brands include artificial flavors and extra ingredients to improve the taste – so it’s important to read the labels carefully. ​Whey protein is easier to find and is less expensive, but hemp brands are often of higher quality. It’s clear that hemp and whey have their differences. But, it’s too simplistic to claim that one is better than the other. Both types of protein have their benefits. These differences make whey protein particularly powerful for muscle development and for situations where protein intake needs to be maximized. Whey is also a good choice for anyone on a budget, as there are some inexpensive brands, along with a wide variety to choose from. On the other hand, hemp protein is suitable for anyone focusing on overall nutrition. After all, 15 grams of protein per serving is still a decent amount. You’re also getting more nutrients and plenty of fiber. Hemp protein is also good for most diets. Whey is dairy-based, so it’s unsuitable for vegans, vegetarians, anyone lactose intolerant and people on a dairy-free diet. You'll find that whey protein is present in more smoothie recipes. Still, you can always simply ​use hemp protein instead if that's your preference.